In July radical Australian journalist Antony Loewenstein came to meet members of South Yorkshire Stop G4S in Sheffield. We had lots to talk about: amongst many other things Antony has been looking at the role of corporations like G4S and Serco in profiting from the increasingly harsh anti-migrant regimes in Australia, the UK and around the world. 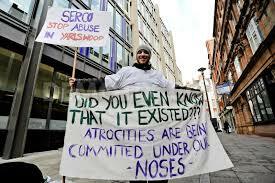 Yarl’s Wood is a Serco run immigration removal centre in Milton Ernest, built in an industrial park more than an hour from central London. Allegations have been made against Serco staff, including of sexual assaults by guards against detainees, yet the British government continues to use the facility. During a visit inside the centre, I briefly experienced the prison-like conditions suffered by immigrants on a daily basis. After submitting myself to a biometric reading of my index finger – a Serco brochure in reception helpfully informed me that the information could be kept indefinitely because the Data Protection Act is so vaguely worded – I met a young couple from Sri Lanka who were confused and anxious. The woman was pregnant, and told me Serco staff often didn’t believe her when she said she needed to visit a local hospital for care. She was depressed and worried about her baby. She regularly missed meals and begged me to help them get out. Thankfully, they were released shortly after my visit, to an undisclosed location. Emma Mlotshwa is the head of Medical Justice, an NGO that provides doctors to immigrants in detention. They offer independent assessments of asylum seekers condition while campaigning for the end of prolonged incarceration. She told me that the system was making people sick. One thing is clear: keeping the Sri Lankan couple locked up for months was about punishment; they weren’t a security risk, nor flush with funds and able to disappear into the community. This brutal treatment is supposedly a deterrent for future migrant arrivals landing in a country where politics is increasingly defined by leaders who talk tough against the most vulnerable. The desperation of immigrants behind bars was repeated during my visits to the Geo Group-run Harmondsworth and Serco-managedColnbrook sites, both near Heathrow airport. The centres will be taken over later this year by Mitie, a less well-known British provider than G4S and Serco. In October 2013, a large fire broke out in Mitie’s Campsfield detention centre. Subsequent investigations found no sprinklers had been installed. Mitie’s CEO, Ruby McGregor Smith, told me that when her firm took over the facility from the Home Office, she wasn’t asked to install a sprinkler system. She was confident that she had a “good team” to manage what would soon be, according to the corporation’s February press release, the “largest single private sector provider of immigration detention services to the Home Office, less than three years after entering the market”. I asked McGregor Smith why she thought her company could run these centres any differently than other contractors. She talked of a more “humane” policy towards asylum seekers – she damned G4S and Serco for their failings in Australia, and argued that both firms were clearly incapable of managing remote facilities, but didn’t admit this to the government in Canberra. When detainees are released, they still often face indefinite insecurity. In Sheffield, I visited G4S housing in one of the poorest areas of the city. On a windy summer day, with Roma children playing in the streets, I saw squalid houses, with up to nine men packed into small rooms. I heard stories about the Home Office taking years to reach a decision on immigration claims, which precludes many migrants from building a decent life, given their lack of work rights. 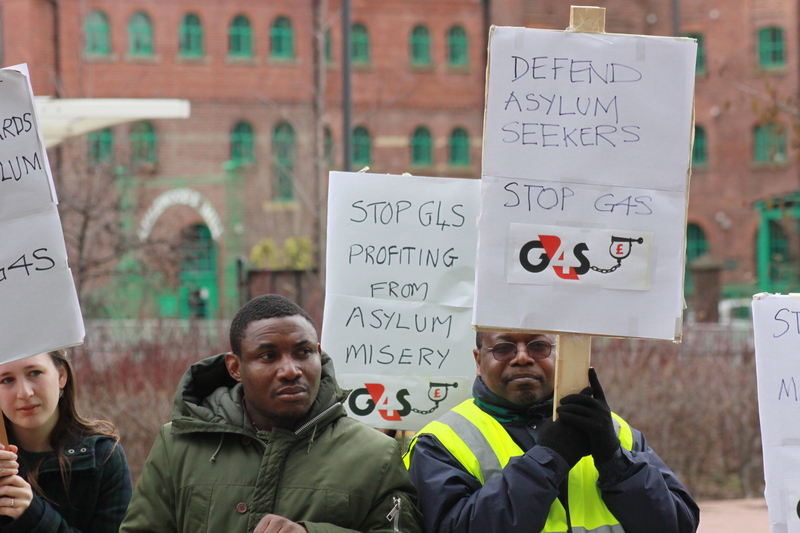 G4S in Sheffield is opposed by local campaigners, such as the South Yorkshire migration and asylum action group. The privatisation of asylum seeker housing has led to allegations of corruption, incompetence and wilful blindness. A senior Serco source in Australia told me last year that his company wanted to run all Australia’s asylum housing, concerned that the immigration centres would empty and their bottom line suffer. The political class in Britain rarely highlights the personal cost of outsourcing the most basic social services. The complete privatisation of welfare services is a real possibility, despite G4S and others failing to assist the unemployed after being paid by the state to do so. Across the UK, Europe and the world, the same few companies are competing for an ever-widening range of contracts. What I saw and heard across Britain confirms the startling facts: poverty is soaring and the government and corporate media response is to pass these people into the warm embrace of multinational bureaucracy. The first ever Parliamentary Inquiry into immigration detention in the UK is to be held this year. While there are no guarantees that this will improve conditions in detention centres, we urge those who have experience of the centres to contribute evidence. More information on the inquiry is here and see here to get support in submitting evidence. On Tuesday September 23rd at 6.30pm in Sheffield SYMAAG is holding a meeting to discuss our contribution to the inquiry and to assess whether a hearing of the inquiry should be held in South Yorkshire. SYMAAG invites you to a public meeting in Sheffield on Thursday 14th August with speakers from refugee and asylum rights organisations, and Syrian organisations in the UK. The meeting will give facts about the world wide refugee crisis (there are now more refugees according to the UNHCR than at any time since the Second World War) and the massive scale of the Syrian refugee crisis. Syrian refugee families are dying in the Mediterranean desperately seeking safety in an EU country. Syrian refugees along with refugees from many countries are trapped in squalor in temporary camps around Calais trying to claim asylum in the UK. Syrians who manage to get to the UK are waiting months for even their first interview on their claim for asylum. There are over a million Syrian refugees in UNHCR camps – Germany over the past few months has agreed to take 20,000 – in June the UK had accepted just 24. Come along and get the facts and join the campaign to get action on Syrian refugees. South Yorkshire G4S will be holding a lobby of Sheffield City Council on Wednsday 1st October from 1pm at Sheffield Town Hall. Come and join us. We will be attending and speaking at the next Sheffield Council meeting on October 1st. We’d be happy for you to join us, ask questions at the meeting and push for Sheffield City Council to adopt a contracting policy which excludes companies like G4S on the grounds that that they profit from human rights abuses in Sheffield, in the UK and around the world. Sheffield Stop G4S campaign presented a 700 strong petition to a full council meeting of Sheffield City Council, calling on the Council not to award contracts to G4S on July 2nd. The Council, in its verbal response to the petitioners, confirmed that the Council do not currently have any contracts with G4S. Labour Councillor Ben Curran, responding to the petition on behalf of the Council, informed the meeting that while the Council have been advised that it would be unlawful for them to adopt a blanket policy of excluding G4S from any tendering process, they are very aware of many of the concerns about G4S that were outlined in the petition, although he acknowledged that there were some matters of which he had only limited knowledge. He further explained that the Council do have a process whereby specific criteria are considered in any tendering process, and that these are designed to consider matters including fraud or criminal behaviour by companies bidding for contracts. Councillor Curran said that it was very possible that it was as a direct result of the criteria used by the Council that G4S currently hold no contracts with the Council. He went on to say that the Council had decided to review its criteria in order to further tighten its tendering process and that it was unlikely that G4S would win any contracts with the Council unless it changed its behaviour. In response to questions from members of the StopG4S campaign in the public gallery asking for more detail about the review of the criteria, Councillor Curran invited Stop G4S campaigners to meet with him once a draft of the revised criteria is prepared. Councillor Curran’s view was that if G4S were to be awarded any contracts with the council in the future it would only be if the behaviour of the company changed. Under EU competition law and the 2006 Public Contract Regulations, a public body will act unlawfully if it directs itself wrongly on its discretionary power to exclude an economic operator from bidding for a contract where that operator has committed an act of grave misconduct in the course of its business or profession. Later in the Council meeting a resolution calling on the Council to exclude company’s with bad human rights’ records from bidding for Council contracts was discussed. The resolution was proposed by Green councillors and supported by Labour and Liberal Democrats (the new UKIP councillors abstained). The full resolution is below. Later in the Council meeting a resolution opposing unpaid forced labour (workfare) for unemployed people was passed. G4S recently won a £60 million share of the £300 million ‘Help to Work’ workfare contract. If Sheffield Council are prepared to exclude companies from bidding for contracts on principled ethical grounds, there’s no shortage of evidence for G4S. Sheffield Stop G4S campaigners welcome the response of the Council and see the Council’s stated views as a positive step towards ensuring that Sheffield becomes a G4S free zone. We hope other councils will follow Sheffield’s lead. 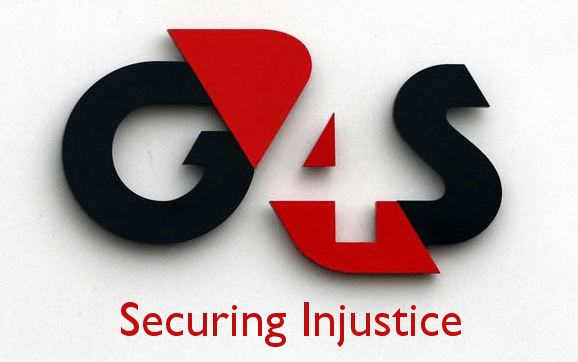 The next South Yorkshire Stop G4S Campaign meeting is Wednesday 16th July 4.30pm at Exchange Brewery, 2 Bridge Street Sheffield S3 8NS. Come along, there’s work to do! “… human rights related matters are reflected appropriately when purchasing goods, works and services. (c) confirms that this Council, in so far as it is legally able to do so, should exclude from contract opportunities any company where there is evidence of a poor track record of breaches of human rights and equality laws.